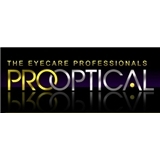 Pro Optical (Boston) - Book Appointment Online! Our Boston Eye Doctors (Optometrists) have earned our reputation and the respect of our patients for being dedicated to your vision and your eye health. We are the eye doctors, located centrally in Boston. Pro Optical Eye Doctors and staff take great pride in providing you and your family with the highest quality, most comprehensive eye care possible. Pro Optical's licensed Opticians offer a complete selection of trendy and conservative highest quality designer frames and sunglasses for the entire family. Pro Optical Boston is sure to have eyeglass frames or contact lenses that match your unique style. Excellent staff, very attentive and made sure I got the best deal purchasing my contact lenses. Dr. Nguyen is wonderful. Very knowledgeable, thoughtful, warm and helpful. I recommend her very highly. she been my doctor for a few years and I like her.